Pelmor® is a specialty molder of rubber parts and components made from virtually all of the synthetic elastomers in the marketplace today. Our unique capabilities allow us to consistently mold intricately shaped, precision finished, small parts that are manufactured to extremely tight tolerances. We are a full service rubber parts supplier with total responsibility for the finished product. Precision molding of high quality parts from the fluoroelastomer polymer is one of our strong suits. 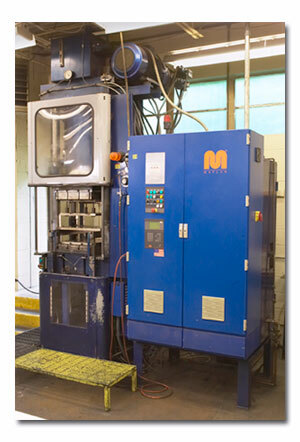 Our molding equipment includes compression, transfer, and injection presses, ranging in tonnage pressure from 70 to 450 tons. Many of our customers' specifications require the bonding of elastomers to metals. Our years of experience in this area give us the ability to bond both traditional and exotic polymers to all types of metals, including powdered metal and conductive components, as well as to other substrates such as plastics, fabric, or wood. Computer-controlled robotic equipment is utilized to facilitate the bonding and preparation processes.